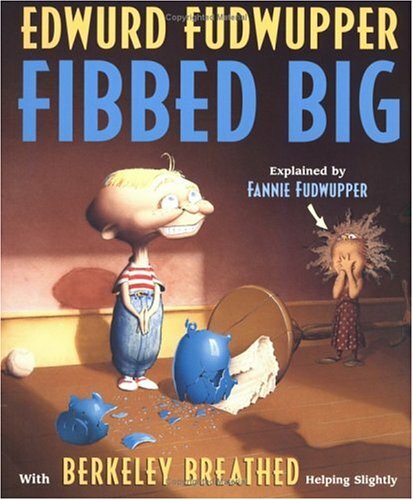 Synopsis: Fannie Fudwupper’s big brother, Edwurd, spends his time cooking up big fibs full of phooey and letting them rip. But one day, Edwurd tells such a whopping lie that the army, the air force, and the dogcatcher are called to reverse the damage. Than my fibbing big brother, The Edward Fudwupper. He’s thinking of who could be next for some fooling. He’ll serve them up SWEET, all gooey with hooey. “I read you’ve been voted the queen of Brazil! They want you to come! I think Mable went; no one’s seen her since then. Web of Lies: Wind a large ball of yarn. Have the kids sit in a circle. Hold the end of the ball of yarn and begin telling a story. Stop in the middle of a sentence and roll the ball of yarn across the circle to another child. Let them finish your sentence and start another. Then they hold on to the yarn and roll the ball across the circle to another child. Each child adds a sentence or two to the story, and holds on to the yarn when they get the ball. You’ll make a spider web on the floor and an original story at the same time. After the activity, discuss the difference between weaving a story and telling a lie. Why I Like This Book: The cover caught my eye at the library several months ago. Since then, I have checked it out two more times and enjoyed it each reading. Of course, I love the rhyme. The meter and rhythm flow easily and make the story a very fun read aloud. The book is hilarious because Edwurd tells such ridiculous whoppers that it will have kids and adults laughing. I like that his little sister stands up for him even though he doesn’t even notice her. Since this is a story about telling lies, I like it that there are consequences for being untruthful. The illustrations are a perfect complement to the text. Berkeley Breathed is a cartoonist and his talent is evident in this book. The expressions are priceless and deliver on their half of the picture book. I just checked out another of his books today and am anxious to see if it is great, also. Thanks for stopping by! Sounds like a a whopper of fun! We’re not in the fibbing stage yet. This sounds so funny! It also has a great mesage. I can’t wait to see what happens when the army, air force, and dogcatcher (huh????) come! It’s great Erik! You will be laughing! Have fun reading it when you get a chance! Berkeley Breathed is brilliant. My oldest has recently discovered my husband’s Bloom County collection and I think he’ll like this as well. Even though he’s older. Thanks! I think he will, too. It has a lot of humor that even adults will enjoy! Berkeley Breathed’s comic, “Bloom County” was a favorite when I was in my teens. I had no idea he illustrated children’s books. Thanks for the recommendation (and I love the honestly lesson). You’re welcome Kirsten. I checked out one of his others today. I will have to read Bloom County. Thanks for stopping by! Boy wish this had been around 40 odd years ago… both my brothers could tell whopping porkers when they were little…. mmm think they still do at times…lol. Great book! It may be a good gift for your brothers! LOL! This book sounds very humorous. Such an important topic with kids. Like your resource. Thanks for stopping by Patricia. You know me…I love the humorous ones. I just love to laugh and I know kids do, too. How is it you did not write this – it’s so…Penny! We’ve had our share of fibbing here; kind of miss the ones from pre-school age! Julie, I only wish I had written it. I love that you said, “it’s so…Penny!” I think I’m actually showing my personality on my blog and in my reviews…yea! Maybe that is kind of like “voice” and I am starting to get the hang of it. Hard to believe you had trouble finding it. Re-read every one of the comments you posted. They match your smile! You are very sweet! Thanks! Oh my, that part about Mable going to Brazil made me laugh out loud. Looks like a winner, Penny! Me too, Amy! Wait til you see the illustration that goes along with it. Very funny and perfectly Mable! That sounds like a great lesson for kids. Teenagers would probably benefit from one about actions along the same lines. 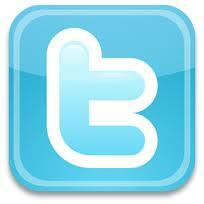 Love your activity! You’re right…teenagers probably would….but wait! Don’t they already know everything???? This looks like a ton of fun phoooey! Yes all gooey with hooey and full of fun phooey! Great one Joanna! LOL! This sounds fabulous! My 3 year old is just starting to fib and I was thinking of looking up books on the subject. Thanks for the jumpstart! You’re welcome! Glad I reviewed one that you can put on your list!